At A/C Contractors, our team understands how important it is to keep your home comfortable all year long by having the best and most dependable cooling and heating system and ensuring a clean, safe and efficient home environment. 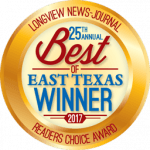 For over 25 years, our skilled team of friendly cooling and heating professionals has provided effective and dependable HVAC and air quality maintenance, repair and installation services for residents throughout the Longview, TX, community and beyond. With years of extensive local HVAC experience, we can offer all of our customers personal cooling and heating solutions and recommend the highest-quality products from trusted brands that best suit your daily needs, operational expectations and budget. We believe in providing the best services to all Longview and Tyler, TX, home and business owners. That’s why we have a variety of workmanship and product warranties, free estimates with upfront pricing models, and our “Fixed Right or It’s Free” guarantee. Our air conditioning and cooling experts can complete a wide variety of repair and installation services. Seasonal air conditioner tune-ups are the best way to catch small maintenance issues before they become large, expensive emergency repairs or replacements. From furnace maintenance to heating system replacement, to new furnace installation, our heating professionals have the real-world experience to troubleshoot your repair or recommend the best new heating system for your property. 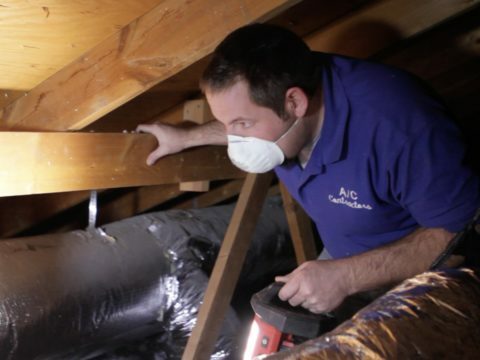 A/C Contractors complete thorough duct cleaning and sanitizing services, mold remediation, and use robotic video and digital cameras to completely inspect your ductwork. Our service technicians are highly trained, professional experts in their field. Our organization has your complete safety in mind. That’s why our organization bears the Technician Seal of Safety™. 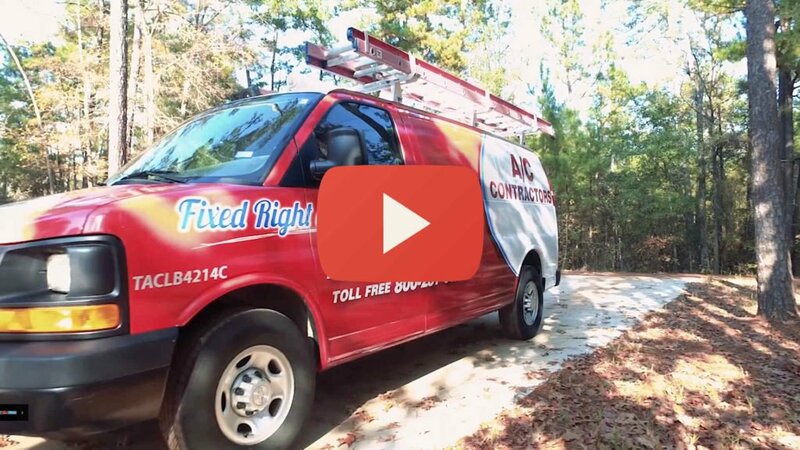 A/C Contractors understands the unique and diverse needs of local Longview homeowners and how crucial it is for your HVAC system to operate reliably to maintain lasting comfort and overall efficiency. We’re dedicated to being the comfort kings of Eastern Texas, so we offer the widest selection of affordable and energy-efficient air conditioning and heating installations and replacements from top-rated brands like Amana, Trane, Goodman, and LG. In addition to our range of quality HVAC replacement services, our highly trained team also specializes in comprehensive HVAC repair and maintenance to guarantee your system operates smoothly throughout the sweltering Texas summers and chilly evenings. No matter what type of heating or cooling needs you have, trust our friendly and knowledgable HVAC specialists to help. 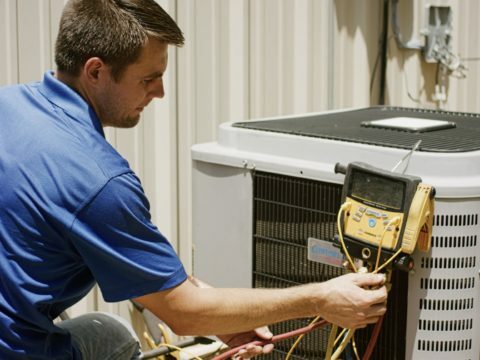 Our technicians are skilled in the latest air conditioning and heating products and improvements, and they can assist you in selecting and installing quality central air conditioning systems or conventional electric or gas furnaces. If you are concerned with keeping your home on the forefront of energy efficiency and reducing monthly utility costs, let us work with you to explore your HVAC upgrade options. By installing efficient solutions like heat pumps or ductless mini-split systems, you can reduce your energy bills, improve home safety and minimize harmful emissions. Keep your home clean, safe and comfortable with the help of A/C Contractors. You and your family spend a majority of your time indoors, and with our air duct cleaning, purification and filter installation services, and whole-home humidifiers, you can have fresher air, better health and more enjoyable indoor spaces. By hiring our trained and dependable repair specialists, you’ll have the most comprehensive HVAC repair services in the Longview area. 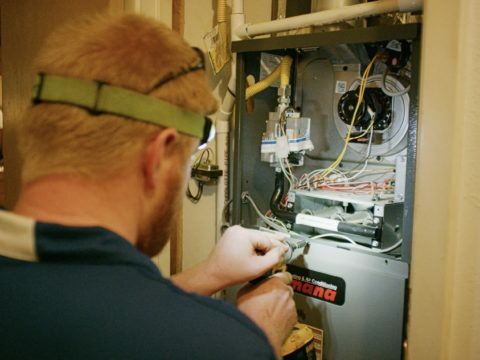 Our skilled technicians specialize in furnace and air conditioning repairs, preventive maintenance and other common HVAC issues like noisy units, broken thermostats, worn-out parts or air blowing too warm or cool. To ensure lasting repairs and effective cooling and heating, all of our services are completed using only the best quality parts and equipment available. For the convenience of all our customers, we even offer emergency 24-hour repair assistance so your family is never uncomfortable for long. At A/C Contractors, we believe all homeowners throughout Longview and Tyler, TX, should be comfortable and relaxed in their homes. With this ideal in mind, the team at A/C Contractors has the most experienced and dedicated HVAC technicians in the area, paired with quality products and programs. All of our residential products are available with flexible financing options and backed by lifetime warranties. To learn more about our Longview HVAC services, call us today at 903-218-8068 to speak to a team member or complete our online contact form to request a free project estimate. Don’t Pay a Penny Until 2020! Super job searched for the problem and corrected it in a very timely manner. Thanks as always.